I have been focusing on Methane emissions for many years in my job and just found this great resource from the United Nations. I was aware of what they were doing since they were the main backers of getting the protocol signed in Paris. But I was surprised about the detail on their website about how to stop leaks. 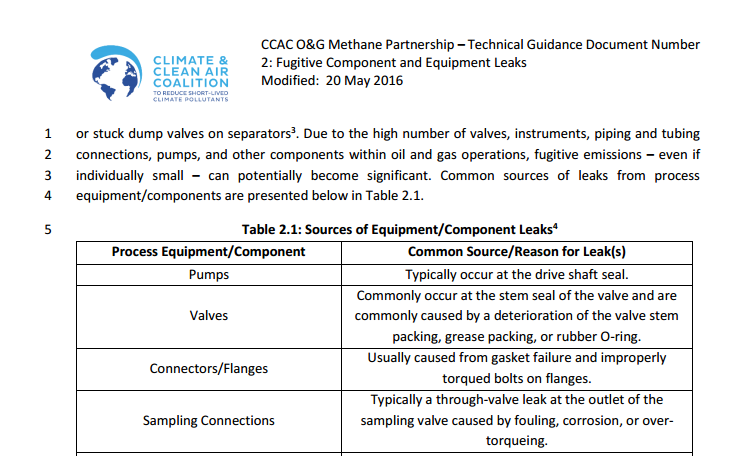 One report they did last year (here) comes out and discusses how serious flange leakage is in methane leaks. Here specifically they talk about reducing methane from sources in Oil and Gas.